CUTE!!!!! 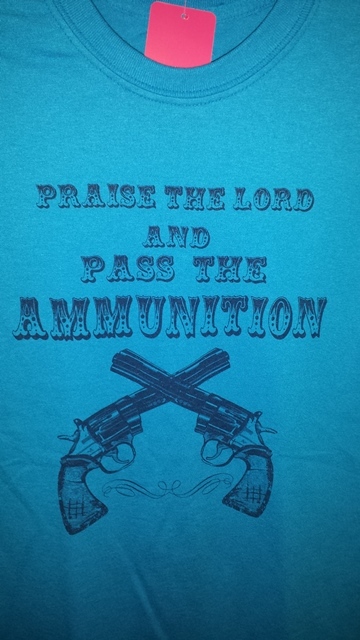 Praise the Lord and Pass the Ammunition on a turquoise tee!!! 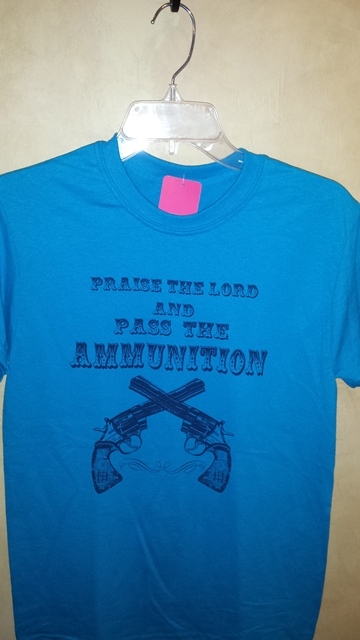 They are a regular cut and fit tee.